Choosing a domestic helper is not easy, especially with all the tragic stories floating in the media. Maids have been caught on CCTV cameras to be stealing gadgets, jewelry, money and other valuables. Entrusting children in the care of domestic helpers may not be easy for you. However, the need for domestic help remains. This is why, choosing the right maid agency is of paramount importance. You need to select someone who is trustworthy and provides excellent quality of service. Here are some tips put together to help you make the best choice while searching for a domestic helper agency. The maid agency you choose must the required license from Department of Labor and Employment, to run the agency. Do not trust those agencies that refuse to show their license and permit. Ensure that the agency you are sourcing a maid from, is legitimate and follows laws and regulations. You can ask your family members or friends for recommendation. That way, you can save yourself a lot time that would be otherwise spent in research. However, if you are on your own, do not forget to check out the credentials of the agency. While doing a background check, check out what the online reviews (Facebook) have to say. Ask the agency for references and testimonials. Here are some questions that will help you determine if the agency is reliable. ● Does the company inform you about your responsibilities as the employer? ● Do the maids have the agency’s protection and guidance under the law? ● Are the online reviews mostly positive? Housekeeping needs vary from one household to another. Finding the right maid agency that meets all your criteria is not an easy task. However, narrowing down your decision based on the most important criteria can make it relatively easier. While choosing a maid agency, speculate their professionalism. The first step is to check their online presence. Take a look at the website of the agency and go through the homepage. 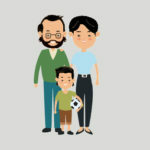 If the looks are pleasant, professional and realistic, it is a good sign indicating that the agency is prudent and serious about its business. Next, you must find out if the maids have professional training and if they are certified. This is a very important aspect that you must consider because the services you receive will ultimately boil down to this. If the maid is efficient, reliable and has a professional approach, you are in good hands. Inquire the agency if the essential details are not provided on the website. After you have pinned down your decision and chosen the right maid agency, it is time to find the maid who will be a perfect match for your requirements. You must be diligent in the hiring process and have realistic expectations. Discuss your needs with the agency and inform them about the chores that you need help with. Whether it’s cooking, cleaning, doing the laundry, mowing the lawn or looking after the entire household along with your kids, you should make an informed decision. Interview each maid and ask about the work experience, resume, training, expectations from the job, strengths and weaknesses. 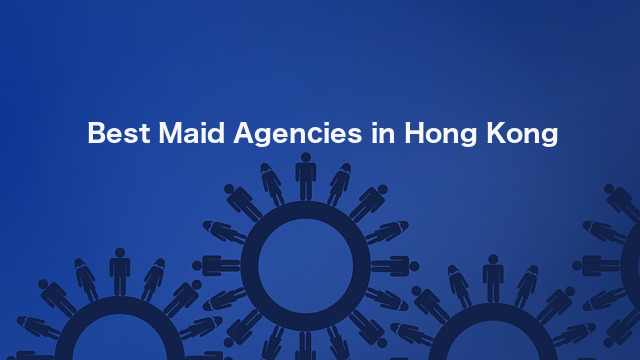 Here is a list of the top four reputable maid agencies in Hong Kong that offer excellent domestic maid services. They are reliable, trustworthy and meet high standards in terms of service and client satisfaction. These agencies are never charging helpers to connect them with employers (ethical practice for helpers). 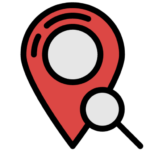 HelperPlace is one of the best platforms for finding domestic helpers of your choice. It is simple to use and easy to understand. If you are seeking for a domestic helper, all you need to do is post the job on the website. Hiring a helper without an agency can be easy and fast, if you focus on Helpers who are finishing their employment contract in Hong Kong. To recruit the most suitable maid who will be a perfect match for you, HelperPlace is the one stop destination. On exploring the website, you can also get information about the recruitment process, contract rights and details of each candidate. This is by far, one of the fastest platforms to find domestic helpers and the best solution to directly hire a helper already in Hong Kong. You will be notified with suitable applications in no more than few hours. Arrow Employment Services is a reputable maid agency that has an extensive process of selecting their employees. This agency performs careful screening and training of applicants along with providing education, classes and follow-up services to ensure that you have the best hired help in your household. Fair Agency is a non-profit agency which is a leading establishment in Hong Kong. They employ domestic helpers who are professionals and proficient. Finding the right pair of the employer and the domestic helper is an important aspect of their work. Another praiseworthy feature about this helper agency is that their services are budget friendly. Royal Maids is a professional maid agency that provides excellent personalized helpers who can meet all your needs with domestic work. They ensure the best quality of maid services through extensive background checks, comprehensive training programs, and strict work protocols. You can get native English speaking or Chinese speaking helpers from Royal Maids. Now that you know the best tips on how to choose the best maid agency and you have the list of the best agencies, hiring domestic help will no more be a hassle.